The Beef Improvement Federation is celebrating 50 years in 2018. Themed "Elevating the Industry," the Annual Meeting and Research Symposium is poised not only to celebrate the last 50 years but launch into the next 50. BIF was officially founded in 1968, but its formation began the previous January during a meeting at the National Western Stock Show. At that time, a group of producers and researchers — spearheaded by Colorado cattle producer, lawyer and performance evaluation advocate Ferry Carpenter, and Frank Baker the federal Extension livestock specialist in 1967 — met with the goal to move the cattle industry from its historical basis of visual appraisal to one of evaluation based on performance. Thus began a very powerful and intentional "performance movement" in the cattle industry that continues and thrives today. Fifty years later, the 2018 BIF Annual Meeting and Research Symposium will return to Colorado June 20-23 at the Embassy Suites Convention Center in Loveland. 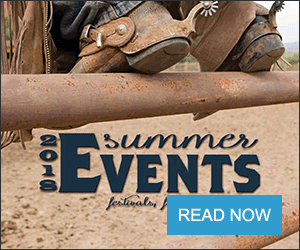 Each year, the symposium focuses on research, innovation and education for producers and scientists alike on current issues facing the beef cattle industry "to connect science and industry to improve beef cattle genetics." BIF's three-leaf-clover logo symbolizes the link between industry, Extension and research. In the late '60s and '70s when BIF was formed, the cattle industry was experiencing a great deal of change with the influx of Continental breeds and the implementation of artificial insemination and crossbreeding. 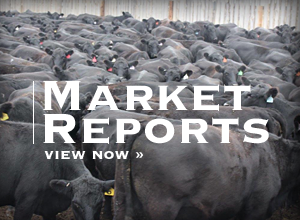 Many states had Beef Cattle Improvement Associations but no standard procedures or measurements. At the same time, land-grant universities were conducting more research on genetics and how genetic evaluation could improve cattle herds. Germplasm research being conducted at the U.S. Meat Animal Research Center would provide incentive and data to create and formulate genetic evaluation. Other data collected by producers and breed associations would add to that. Steve Radakovich of Radakovich Cattle Company, Earlham, Iowa, was BIF president in 1983-1984 when BIF was still young and evolving. As a graduate student at Colorado State University in the '70s under renowned animal geneticist Jim Brinks, Ph.D., Radakovich was encouraged to attend BIF. This early exposure led to his lifelong participation in BIF. "Back then we were a bit of a divided camp. We had one group who were the 'weigh and pray' folks," Radakovich says. "They would stand by the scales and pray that the animal weighed more than he did the time before. Then there was the systems group, which I was a part of, who asked questions such as, 'Is bigger really better?'" "The weigh and pray guys thought that the systems guys were nuts and these two approaches led to some pretty good arguments." Willie Altenburg, owner of Altenburg Super Baldy Ranch just north of Fort Collins, Colo., and breeder of Simmental and Angus seedstock for more than 40 years, was BIF president in 1999-2000. His recollection of the early days was that BIF "was very small with not very high attendance. In some ways that was positive because you make a lot of progress, given small committee meetings. "There were times when maybe six people were voting and making decisions on things like formulas and direction, and people like me would sit back in awe in those small meetings and watch those great minds at work." "BIF has always been the place where performance cattlemen gather and philosophize about performance and genetic issues," Altenburg said. "Over the years, the contributions of BIF to the performance cattle industry have been industry leading. BIF gave the concepts, research and performance philosophy a place to launch and grow, and other countries still look to the United States for performance testing and evaluation." "Because BIF is the one organization that bridges across all breeds and academic institutions, it helps focus limited research dollars into the most promising areas," Whitmire said. "The early pioneers set aside their breed priorities and personal egos and focused on what was best for the industry." Mark Enns, Ph.D., professor of animal breeding and genetics at Colorado State University and organizer of the 2018 BIF Symposium, also got his first exposure to BIF as a graduate student in the '80s. "BIF helped create the unified vision for genetic improvement throughout the beef industry and established common ground for all the breed associations and all the cooperative breed improvement groups to work under," Enns said. "We cannot discount the brilliant minds who came up with the idea for BIF and recognized the need for it." Throughout the years, BIF has made significant contributions to the beef industry, particularly the seedstock sector. "BIF has allowed the smaller, family seedstock producer to compete on the same playing field with the larger seedstock producer," Radakovich said. "BIF standardized evaluation so that the smaller operators could utilize the methodology, could pursue an objective selection process and could compete with larger operations. Without the standard methodology, they would not have access to those tools." Matt Spangler, Ph.D., associate professor of animal science at the University of Nebraska-Lincoln, said he believes that "the work of the initial founders of BIF created the platform that we know today as National Cattle Evaluation. Without these efforts, estimation of the genetic merit of animals as parents would have been delayed and would look substantially different today." Current BIF President Donnell Brown, R.A. Brown Ranch, Throckmorton, Texas, remembered his first BIF meeting. "BIF was the first cattle meeting I went to after I graduated from college," Brown said. "I was able to talk with the scientists whose research I had studied and talk to the breeders whose catalogs I had been pouring through. They were the leaders in the beef industry. It was inspirational. "The seedstock producers weren't in sales mode and we weren't at a breed association meeting where politics were involved. It was just a meeting about the facts and how we would use the resources we had to more efficiently and effectively raise better beef. BIF is still about that." Others believe that BIF's greatest contributions have been the development of expected progeny difference (EPD) standards and technology; advancing the use of new, more accurate selection tools and providing a forum for the industry and scientific communities to exchange ideas. Fifty years later, genetic evaluation has progressed to genomically enhanced EPDs, across-breed evaluations, evaluation indexes and EDPs on a huge array of traits. Today's cattle industry is also faced with a great many issues including animal welfare, the environment, diet and health, and food safety, all of which can be affected by genetics in some part. "We could be breeding cattle in the future that are hill climbers and will graze hillsides versus riparian areas because that is their genetic predisposition," Radakovich said. "This is where BIF fits in with issues such as animal welfare, animal behavior, etc., especially with genomics. If we can isolate the gene that determines grazing habits, then it will have a big impact." "Genetic evaluation may help us balance the competing needs of global beef production with sustainability and conservation," Enns said. "The United States is a first-world country and our needs are different than those in third-world countries who are simply concerned with finding a protein product to eat. Understanding these competing visions and how genetic tools can be used to address these visions is important." Radakovich agreed. "The population increase of today and tomorrow poses a great threat to resources and, as beef producers, we have to figure out how we can remain sustainable under this pressure that gets worse and worse all the time," he said. "We must be adaptable with fewer and fewer resources. Our big advantage is that cattle are ruminants and can consume feedstuffs that can't be consumed and converted by other protein sources." "If a commercial operation is doing well genetically, then they can move on to address some of the larger, industry concerns such as environmental issues, food safety and animal welfare. A good manager can only handle a few topics at a time, and if their genetics are solid, then they can worry about the other concerns," Radakovich said. While many, including Whitmire, believe that BIF's greatest contribution was the development of EPD standards and technology, the future is wide open. "I have no doubt that the genetic tools for evaluation will become infinitely more accurate and widely used in the coming decades, and the industry will profit from this," Whitmire said. "BIF will help recognize the long-term issues that face the cattle and beef industry and will focus resources to solve those problems." Spangler has a broader view. "Genetic evaluation will change such that 'seedstock' will drift further and further away from 'purebred,'" Spangler said. "The data used to inform genetic merit will be weighted more heavily towards commercial-level data. The entities participating in data generation for genetic evaluation and seedstock production will change such that there is more alignment between the end-product and germplasm at the nucleus level. The general nature of breed associations, and their role, will change. I'm not sure if these changes occur in 10 or 50 years, but they will occur." "BIF is the one meeting where you get the interaction of the genetic improvement leaders in both industry and academia," Enns said. "If what we are developing in science is not able to be translated to the industry, then we are wasting our time. There has always been this free-flow conversation of constructive criticism for the betterment of genetic improvement. This meeting is where the appropriate application of science is developed by discussions of the people using the science and the people developing it." BIF Vice President Lee Leachman, Leachman Cattle of Colorado, Wellington, Colo., agreed. "This is the meeting where practice and theory meet and the learning is going both ways. If we really could get into the nuts and bolts of the history of BIF, we would likely find that most of the innovations sprang from the BIF meetings and the discussions there. If you want to stretch your imagination, but do so at a level that can be put into practice, this is the place to do that," Leachman said. The second day is about data — how to collect it, who will own it and how it's used. How can we better leverage all the data in an internet-permeated society? This year's program is also about helping the industry look at the possible/probable issues that will need to be addressed over the next 50 years. The meeting also includes a Young Producer's Symposium, an evening at the CSU Stadium Club, a Friday dinner out sponsored by Leachman Cattle of Colorado and Zinpro, and area tours on Saturday. The 2018 BIF Research Symposium and Convention is hosted by the CSU Department of Animal Sciences, the Colorado Cattlemen's Association and the Colorado Livestock Association. For more information, a full schedule and registration information, visit beefimprovement.org.